It is just a Vancouver thing or are we always waiting for Spring sunshine? Judging from the wet coats, wet heads and changes of clothing we’ve been through in the past couple of weeks, we think we’re pretty much still waiting. 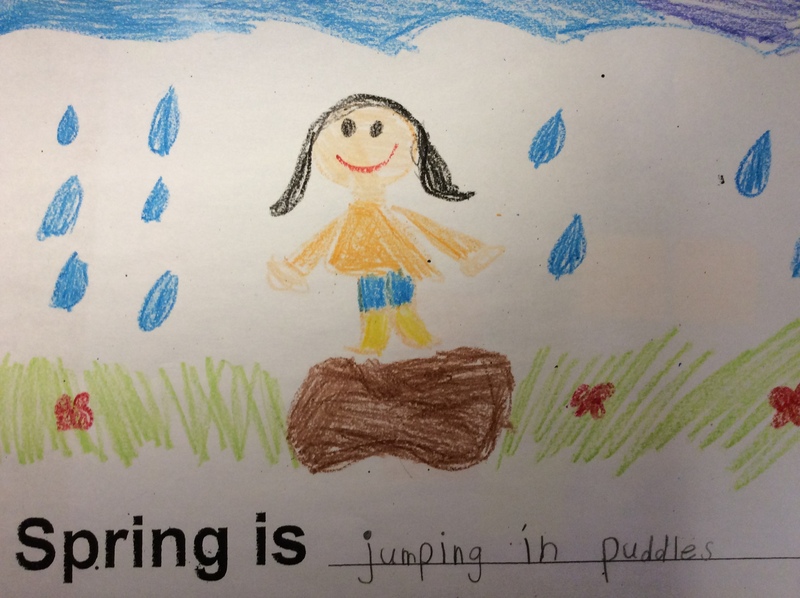 Of course, our definition of Spring is sunshine and warmer temperatures, not all this rain. 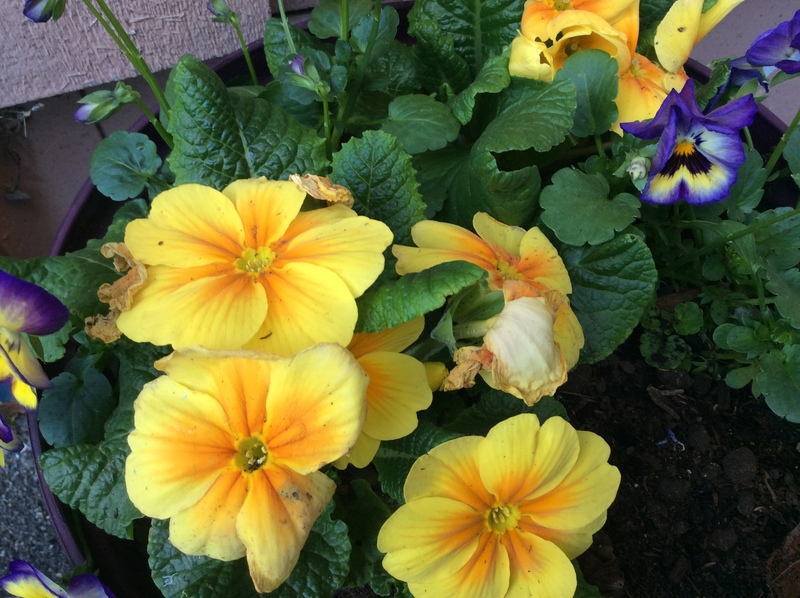 But rain it will, so hopefully drier days and lots of flowers will follow. As part of our wishful thinking, we read aloud I See Spring by Charles Chigna and illustrated by Ag Jatkowska. 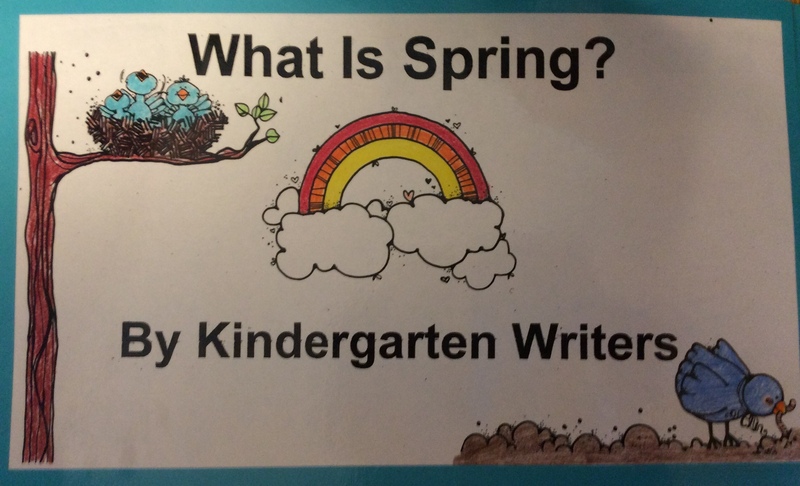 Everyone drew a picture and completed a sentence frame for our “Spring Is” big book that we can read aloud in class during Book Time. 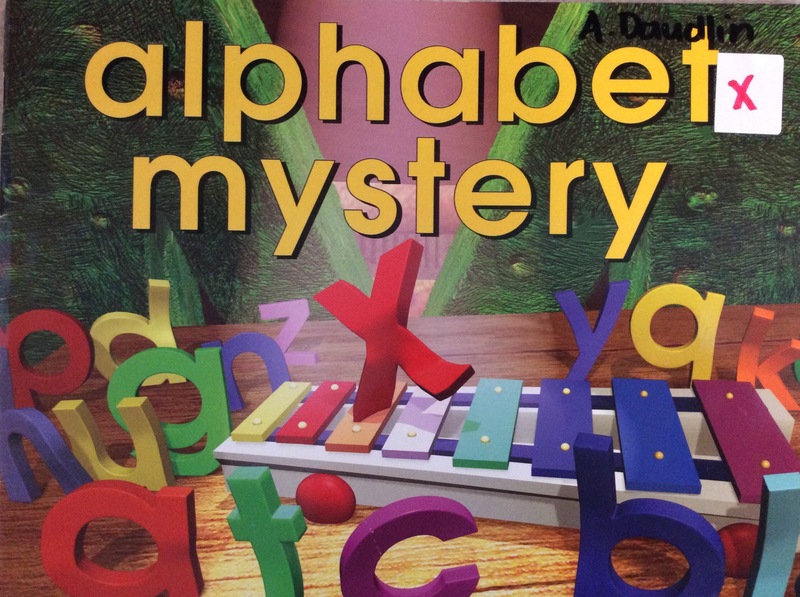 This week we read the delightful, Alphabet Mystery by Audrey Wood and Bruce Wood. As an avid mystery book lover myself, I always hope that one day our students will embrace this fascinating genre. There’s nothing quite like being an armchair sleuth and using your “little grey cells,” as Agatha Christie’s famous detective, Hercule Poirot, so eloquently stated to solve a mystery. 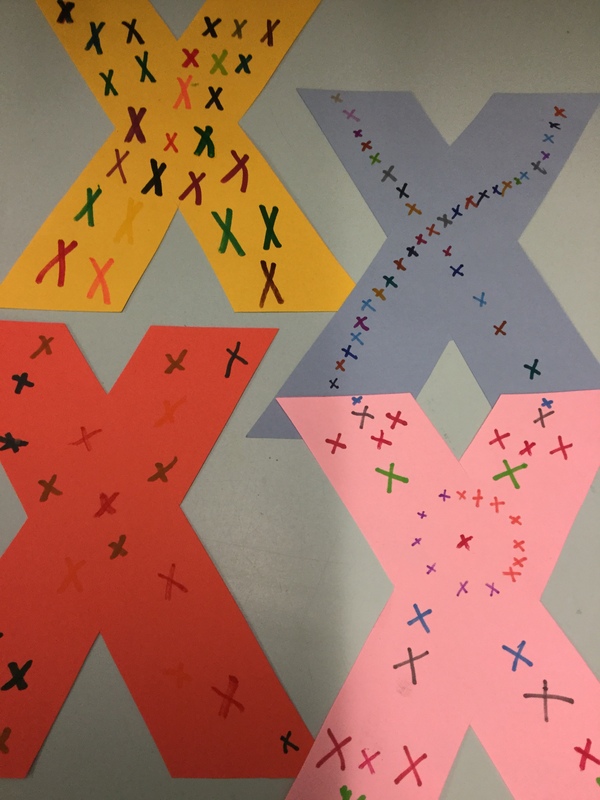 We love you so much that the children covered their Alphabet Craft “x” with kisses for you! We’re finishing up our Math Unit in Numeracy with Explorations for 8 this week. We’ve made pattern block fences, bingo marker pictures with 8 dots, created and copied block pictures for 8, practised printing formation for 8 and counted sets from 6-10. These activities are part of a weekly math rotation we complete over a couple of days for each number, 0-10, as part of the Numeracy and Problem Solving content for Kindergarten Math. The children are very familiar with the routine of rotations around the tables, where each table has different math materials and manipulatives. We intentionally schedule time every week from September to December for Free Exploration. This time we spend as a class during the Fall, talking about number, counting and what it looks like to work cooperatively with a small group of students, is essential for us before we begin our focused work on Numeracy. 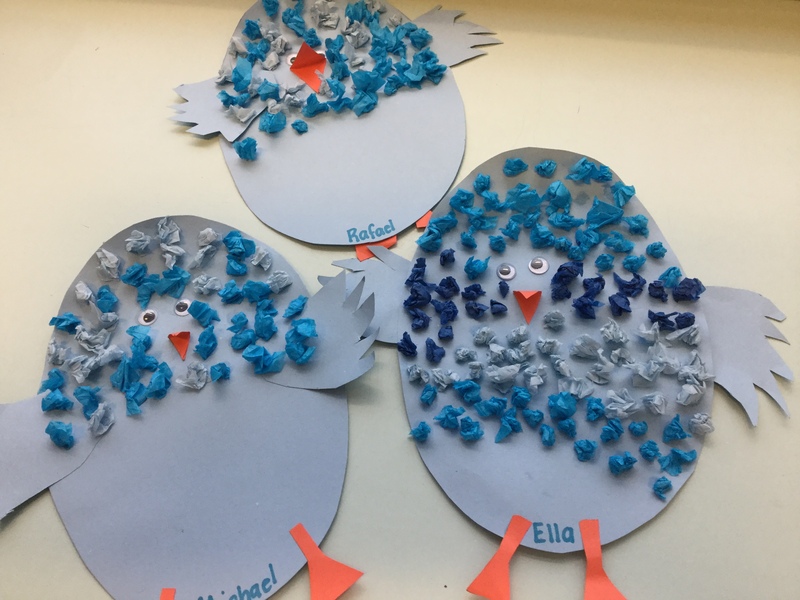 We’re working on a big craft right now, our Spring Blue Chicks. 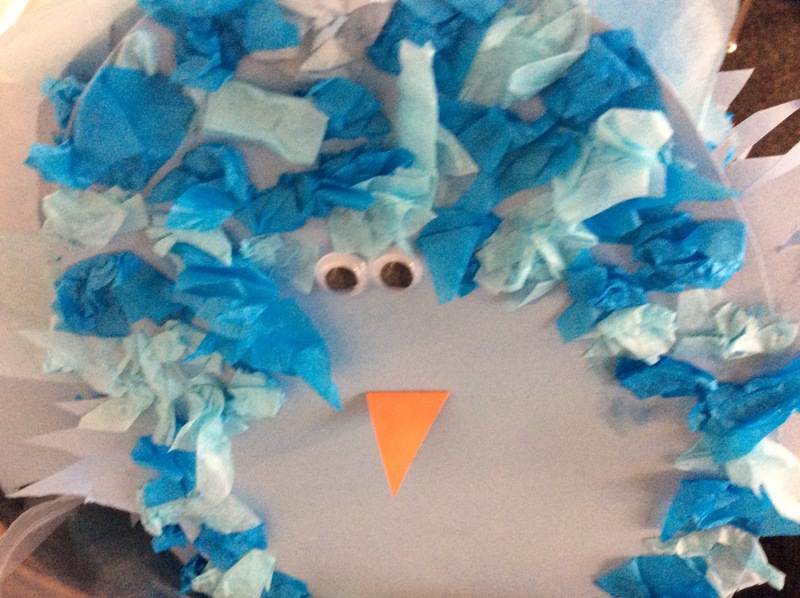 The chicks are halfway to finishing sprouting their paper “feathers” but here’s a tiny sneak preview. They should all be finished for Student Led Conferences on Thursday, April 26. We’ve already been working on them for four days. The children are really learning about patience and perseverance as they complete this fine motor strengthening activity. We’ve been crushing small sheets of tissue paper to glue on and the determination on the children’s faces to finish is very impressive for five- and six-year olds. The “Do 1 Give Challenge” is coming up on Thursday, April 19. As part of this recycling initiative to reduce paper consumption and take care of our Earth, each child is requested to bring in one book to donate. (Please ensure the book is clean and in good, readable condition). We will keep track of all the names of donors. Then, Mrs. Campbell and I will arrange all the books for the children to peruse, and everyone who brought in a book will be allowed to take home a new one from our collection! 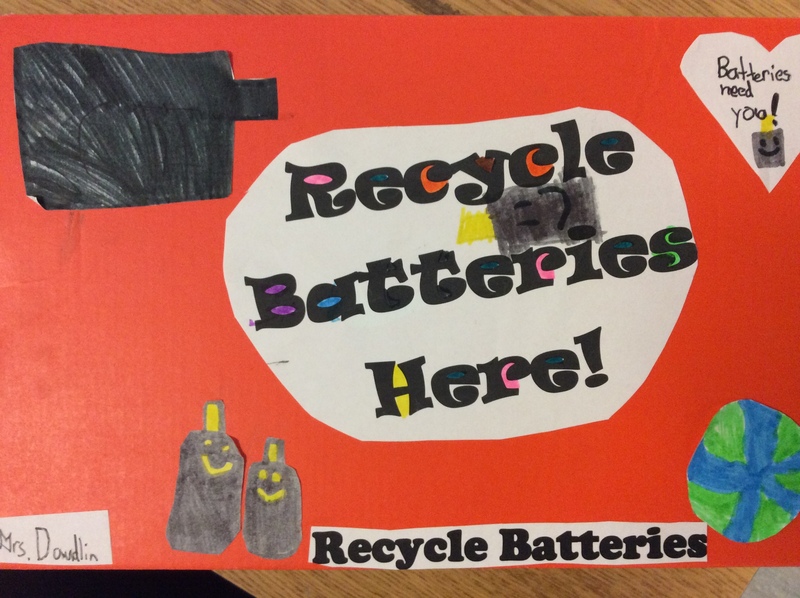 Speaking of recycling, the Grade Two children in Mrs. Bird’s and Mrs. Tsumura’s class have started their Battery Recycling Program. Our Grade Two team of Sophie, Emma and Belen have made these gorgeous boxes to collect the batteries. Please send in your old batteries, and our team will remove them weekly for proper disposal. 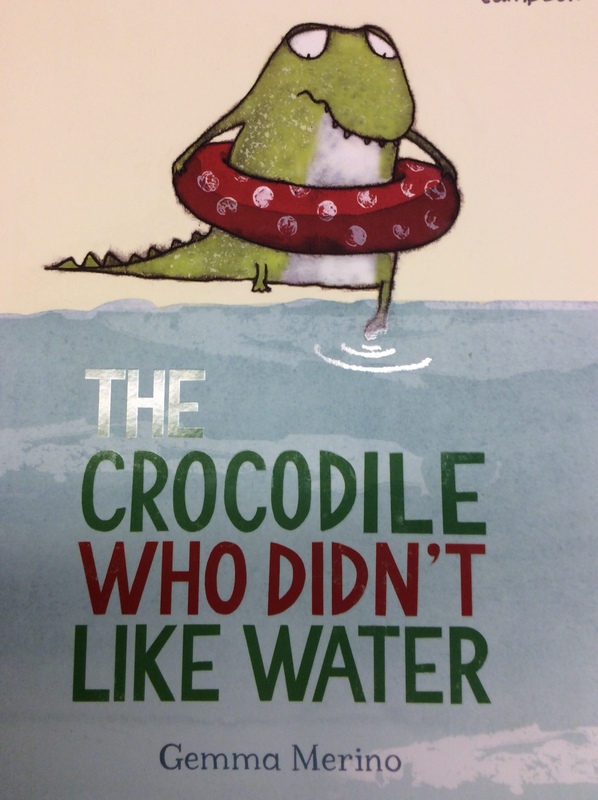 Our book recommendation for this week is the delightful, The Crocodile Who Didn’t Like Water by Gemma Merino. This story is a wonderful reminder that we have all have special gifts, and should follow our heart. Save the Date: Thursday, April 26 is Student Led Conferences! This is the Kindergarten Team’s favourite day of the year! We love the opportunity to invite you to visit your child’s classroom and show you all the amazing learning our KinderCuties have completed this year. Please remember this is a special time for you and your Kinder, so please make alternate arrangements for siblings. Older students may wait quietly in our cloakroom for their family. Our sign-up will be posted on Monday, April 16th outside the library. On Thursday, April 26 students will be dismissed early at 2 pm. Conferences begin promptly at 2 pm. Wednesday is Library Day so please return your books on time. We did put in a request for a return of rainboots and extra changes of clothes. This week was definitely a strain on laundry as we got caught twice in heavy rain showers. Ready, Set, Learn takes place on Saturday, April 28. This is a free community event at the West Vancouver Recreation Centre from 9:30 am-12 for children 3-5 years old and their families.